Samsung and Apple have finally concluded the case that dates back seven years. 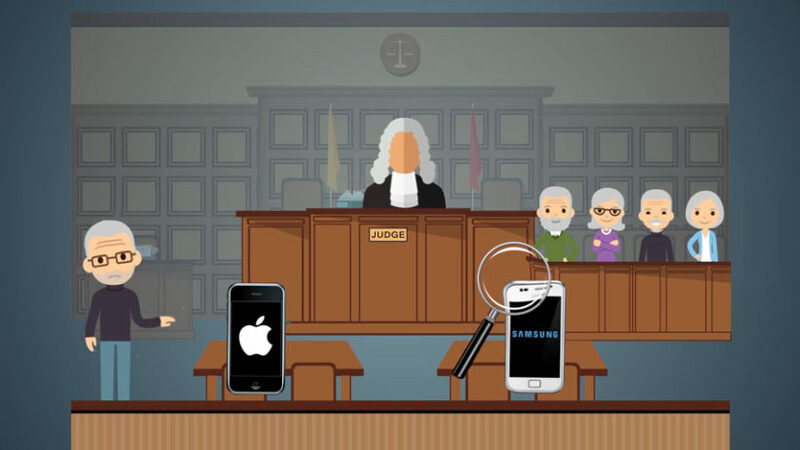 The court settled with the decision that Samsung must pay $539 million to Apple for infringing five patents that Samsung integrated into its models and sold those phones between 2010 and 2011. The unanimous decision was taken by US District Court in San Jose. The violated patents include three design patents and two utility patents. Samsung had been declared guilty already in the previous hearings but this trial finally determined some value of damages to be paid. The two largest mobile phone makers established the importance of design in the tech industry. The jury has no clear rationale but the damages amounting to $539 means Samsung will be going through a tough time as this is a heavy sum opposed to what the Company proposed to pay – 28M. 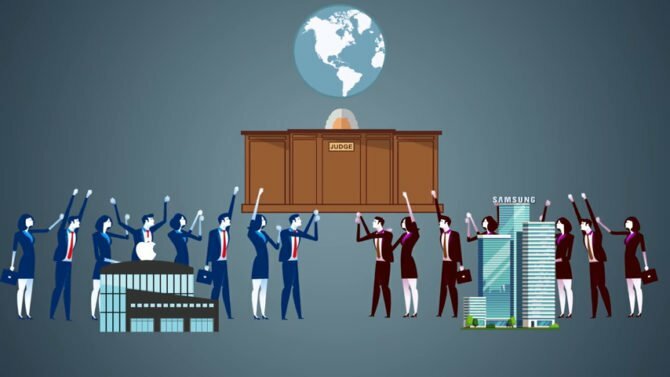 Whether it is the power of cosmetic elements of the products or it is the strength of the big businesses who could afford to defend their patents, the trial proves to be another chapter in the history of tech. The businesses that have resources to obtain patents are good to be on the safe spree. Jurors were not able to side with either Apple or Samsung in terms of defining what patents are. The question that what precisely a design patent is, opened a way for multiple views. The jury understood Samsung’s definition better when it came to the patent which was the round-cornered, black front face of a phone, that it infringes the design assembly of the phone. Whereas, for the other patent which described the grid of colorful icons, they found Apple more convincing. She had sympathies for Apple’s stolen designs and she even offered Samsung an advice on how the company could have made things easier for the witnesses to interpret. Apple came out with the payment a little more than half of what it originally asked for. The jurors were supposed to apply a four-factor test in order to determine the level of infringement. Jury instructed to find out if Samsung’s products had infringed the entire phone or just a component of it. One of the jurors mentioned that the test wasn’t a very specific guideline and it was extremely hard to conclude an outright victory on the basis of it. 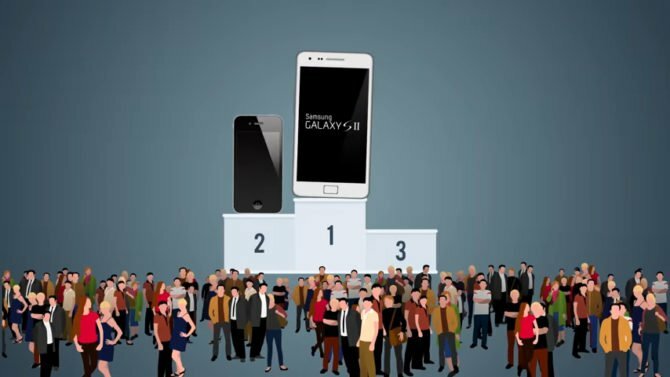 This led Samsung to mention in quite a displeasure that the fight isn’t over. “Today’s decision flies in the face of a unanimous Supreme Court ruling in favour of Samsung on the scope of design patent damages. We will consider all options to obtain an outcome that does not hinder creativity and fair competition for all companies and consumers,” Samsung Spokesperson said. The company also mentioned that they doubt the decision is supported by any strong evidence. Were the patents worth $1 billion? Samsung had been insisting upon the penalty to be $28 million for the infringement of three Apple designs. The phones that Apple sold between 2010 and 2011 revealed the infringement of five patents out of which three were purely the ornamental design patents and two had to do with the functionality of the phones. 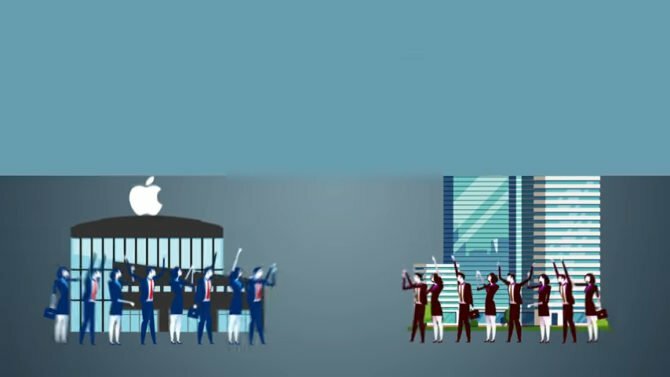 Apple argued that the damages should be equal to the profits that Samsung earned from the sales of those phones whereas Samsung urged that it should be the value worth those components. The uncertainty was too much for the court to do any accurate Math but the trial determined the value to be around $539 M which was too high for Samsung and not-so-low for Apple. US Patent No. D618,677 (D’677 for short), which describes a black, rectangular, round-cornered front face for an electronic device. US Patent No. D593,087 (D’087), which describes a similar rectangular round-cornered front face plus the surrounding bezel. US Patent No. D604,305 (D’305), which describes a colorful grid of icons. The trial put many noticeable personalities in the limelight, Greg Joswiak, and Richard Howarth, two big Apple’s executives, spent time discussing the distress they went through after seeing Samsung’s phones copying iPhone. They spoke vehemently about Apple’s design philosophy. Susan Kare, who was no lesser than a celebrity because of her creation of the Macintosh icons, supported Apple’s view that the grid of icon patent doesn’t just apply to the display but to the entire phone. The trial ended opening a room for conversations and discussions on the damages and prevention of such infringements in future.